As the demand for alternative energy increases—especially wind and solar—wiring and wiring devices are needed that can perform through challenging temperatures and weather. Wiring needs have greatly increased as a result of the high demand for electrification of homes, increased investment in power distribution, and growth in the household sector in developing countries. From residential to commercial and institutional usage, wiring devices are needed for projects of all sizes and scope, in markets all over North America and the world. They may require the right testing and certifications — both to meet local market compliance requirements, and to assure customers in those markets that they’re buying wiring devices that have been thoroughly checked against requirements for safety and performance. CSA Group offers testing and certification you may need to gain access to your target market, throughout Canada, the U.S. and beyond. Our mark is widely recognized and accepted by safety inspectors, code officials and Authorities Having Jurisdiction (AHJs), safety experts and workplace committees, leading product manufacturers, and major product distributors and retailers. Make sure that customers in new markets see it on your wiring devices. The expert knowledge and experience that we have gained from years of developing wire and cable standards is applied throughout the testing & certification process. CSA Group can help conduct the necessary services on a broad range of wiring devices and products for numerous uses, including residential, commercial, Institutional and specialized applications. The CSA Mark will indicate to buyers and builders in markets all over the world that your general or special use switches have been tested for safety and performance. Whether for general or special use, CSA Group will help ensure that your wiring device products are tested with industry-leading expertise and efficiency. CSA Group provides top-notch testing and certification for your wiring devices—like cord sets, power supply cords and conduit—wherever you manufacture them. Before you can take your lighting controls to the markets you’re targeting, they may need to meet local compliance requirements. Let CSA Group conduct the testing and certification you need. We offer the testing and certification you need for your metallic and non-metallic outlet boxes, allowing you to take them with confidence to new markets. 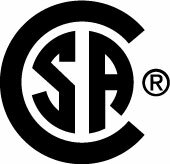 When manufacturing and selling products for use in the U.S., you can trust CSA marks are often accepted because we are recognized by the U.S. Occupational Safety and Health Administration (OSHA) as a Nationally Recognized Testing Laboratory (NRTL).